Garabez Rosa does not have any MLB stats for the season. Signed by Orioles scouts Carlos Bernhardt and David Stockstill. Named Eastern League Batting Champion and Eastern League MVP, becoming the third in Bowie franchise history to win MVP honors...Led the EL in average (.310), hits (162), and RBI (91)...His 162 hits were the second-highest total in Bowie history ... Selected as an Eastern League Mid-Season and Postseason All-Star...Ranked second among Orioles minor leaguers in RBI ... Hit safely in 11-straight games (5/20-6/2), going (19-for-53) with two doubles, one home run, and 11 RBI ... Averaged .357 (45-for-126) with five doubles, four home runs, 20 runs scored, 29 RBI, and one stolen base in 30 games in May ... Batted .340 (53-for-156) against left-handed pitchers and .297 (109-for-367) against righties ... Posted a .363 (57-for-157) average with RISP, and .373 (25-for-67) with RISP and two outs ... Appeared in 38 games with the Gigantes del Cibao in the Dominican Winter League, going .184/.204/.233 (19-for-103) with two doubles, one home run, four runs, 14 RBI, and three walks. Set Double-A Bowie Baysox record for most all-time games played (435), surpassing Caleb Joseph...Named an Eastern League Mid-Season and Postseason All-Star...In the EL All-Star Game, started at second base for the West and went 1-for-4 with a solo home run...Notched the seventh-highest batting average (.303) among qualifying EL hitters...Started at 1B, 2B, 3B, SS, CF, and RF for the Baysox (2B, 3B, and SS for Triple-A Norfolk)...In 29 June games with Bowie, batted .341 (42-for-123) with five doubles, two triples, a home run, and 16 RBI...Hit .302 (42-for-139) with RISP for the Baysox. Named Eastern League Championship Series MVP after Bowie defeated Reading for the title in five games...In Game 5 of the ELCS, hit two home runs with three RBI in a 7-2 win...Batted .385 (15-for-39) with two doubles, a triple, three home runs, and 10 RBI during nine playoff games...Began the season with Norfolk and debuted with the Tides on 4/12 at Charlotte with a solo home run, and four runs scored...Posted a seven-game hitting streak (.429, 12-for-28) with Bowie from 4/29-5/7. April 16, 2019 Leones de Yucatan placed 2B Garabez Rosa on the reserve list. April 3, 2019 Leones de Yucatan signed free agent 2B Garabez Rosa. December 26, 2018 2B Garabez Rosa assigned to Tomateros de Culiacan. December 26, 2018 Naranjeros de Hermosillo activated 2B Garabez Rosa. November 2, 2018 1B Garabez Rosa elected free agency. June 27, 2018 1B Garabez Rosa assigned to Norfolk Tides from Bowie Baysox. June 26, 2018 1B Garabez Rosa assigned to Bowie Baysox from Norfolk Tides. March 25, 2018 1B Garabez Rosa assigned to Norfolk Tides. November 28, 2017 Baltimore Orioles signed free agent 2B Garabez Rosa to a minor league contract and invited him to spring training. November 6, 2017 RF Garabez Rosa elected free agency. August 19, 2017 Bowie Baysox activated RF Garabez Rosa from the 7-day disabled list. August 16, 2017 Bowie Baysox placed 2B Garabez Rosa on the 7-day disabled list. April 3, 2017 2B Garabez Rosa assigned to Bowie Baysox. 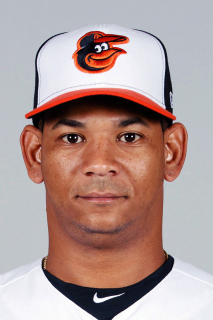 February 24, 2017 2B Garabez Rosa assigned to Baltimore Orioles. January 30, 2017 3B Garabez Rosa assigned to Dominican Republic. December 15, 2016 Baltimore Orioles signed free agent 2B Garabez Rosa to a minor league contract. December 15, 2016 2B Garabez Rosa assigned to Norfolk Tides. November 7, 2016 2B Garabez Rosa elected free agency. October 20, 2016 2B Garabez Rosa assigned to Gigantes del Cibao. May 23, 2016 2B Garabez Rosa assigned to Bowie Baysox from Norfolk Tides. May 6, 2016 SS Garabez Rosa assigned to Norfolk Tides from Bowie Baysox. April 29, 2016 Bowie Baysox activated SS Garabez Rosa. April 27, 2016 SS Garabez Rosa assigned to Bowie Baysox from Norfolk Tides. April 27, 2016 Bowie Baysox activated SS Garabez Rosa. April 21, 2016 SS Garabez Rosa assigned to Norfolk Tides from Bowie Baysox. March 1, 2016 SS Garabez Rosa assigned to Baltimore Orioles. December 22, 2015 SS Garabez Rosa assigned to Estrellas de Oriente. April 21, 2015 SS Garabez Rosa assigned to Bowie Baysox from Norfolk Tides. April 9, 2015 SS Garabez Rosa assigned to Norfolk Tides from Bowie Baysox. March 5, 2015 SS Garabez Rosa assigned to Baltimore Orioles. November 18, 2014 OF Garabez Rosa assigned to Gigantes del Cibao. 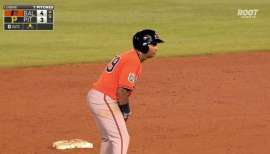 November 18, 2014 OF Garabez Rosa roster status changed by Gigantes del Cibao. September 22, 2014 OF Garabez Rosa assigned to Glendale Desert Dogs. 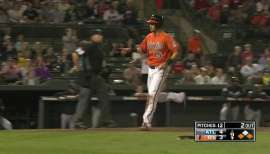 March 8, 2014 IF Garabez Rosa assigned to Baltimore Orioles. April 4, 2013 SS Garabez Rosa assigned to Bowie Baysox from Frederick Keys. October 13, 2012 OF Garabez Rosa assigned to Gigantes del Cibao. 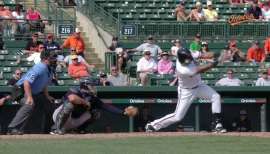 April 23, 2012 Garabez Rosa assigned to Frederick Keys. June 22, 2011 SS Garabez Rosa assigned to Delmarva Shorebirds from Frederick Keys. April 7, 2011 Garabez Rosa assigned to Frederick Keys from Delmarva Shorebirds. October 22, 2010 SS Garabez Rosa assigned to Gigantes del Cibao. April 5, 2010 Garabez Rosa assigned to Delmarva Shorebirds from Aberdeen IronBirds. June 18, 2009 Garabez Rosa assigned to Aberdeen IronBirds from Delmarva Shorebirds. June 1, 2009 Garabez Rosa assigned to Delmarva Shorebirds from Aberdeen IronBirds. November 2, 2006 Baltimore Orioles signed free agent SS Garabez Rosa to a minor league contract.